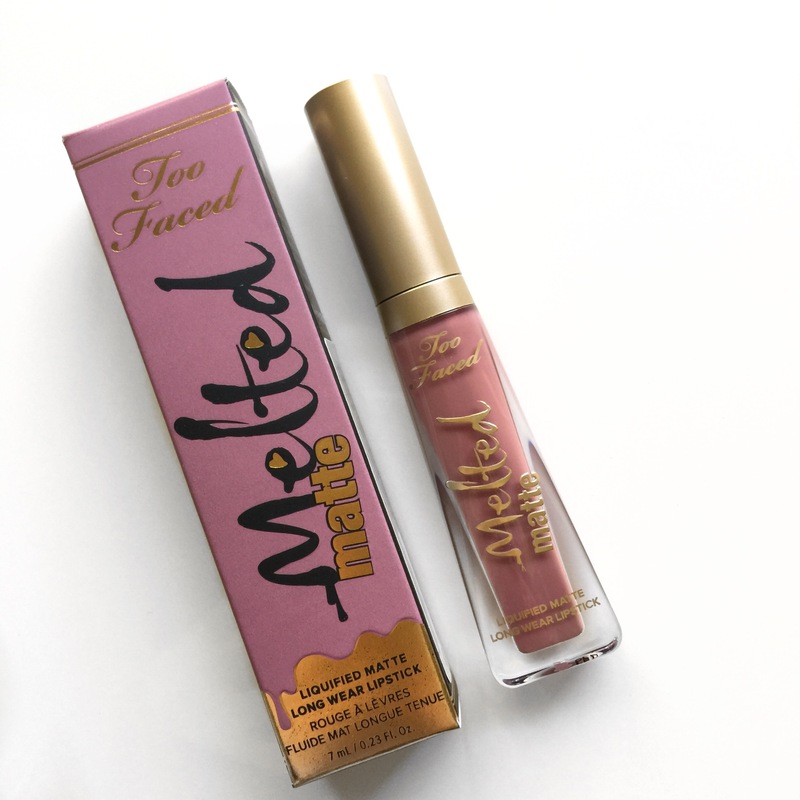 In Australia yesterday, new shades of the Too Faced Melted Matte liquid lipsticks were released in Mecca Maxima and I just had to get one and try out the formula. As always the packaging is super cute and I really love the shape of the tube, for something different. They have the typical doe foot wand, which I find that it doesn’t quite pick up enough product so I do need to go in a second time to finish the application. They have this sweet, candy type smell that I can’t put my finger on but it’s a very familiar sweet smell. 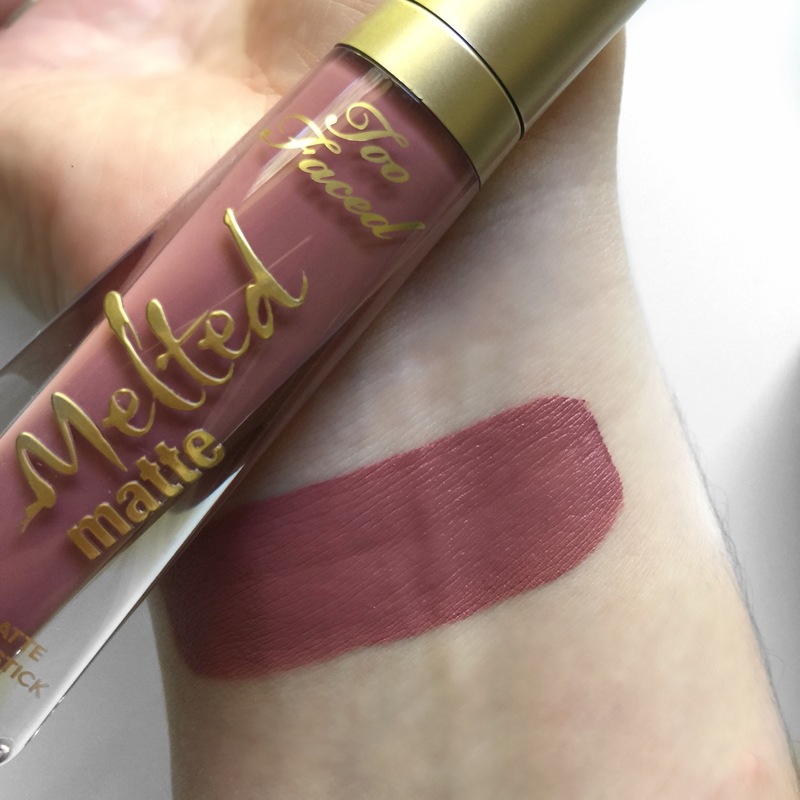 This liquid lipstick is really easy to apply and has a similar consistency to the Australis Velourlips and the Jeffree Star Velour liquid lipsticks, kind of right in between those two formulas. It dries down completely Matte really quick but doesn’t feel uncomfortable on the lips at all. But I suggest that you use a lip balm beforehand just like any other liquid lipstick. 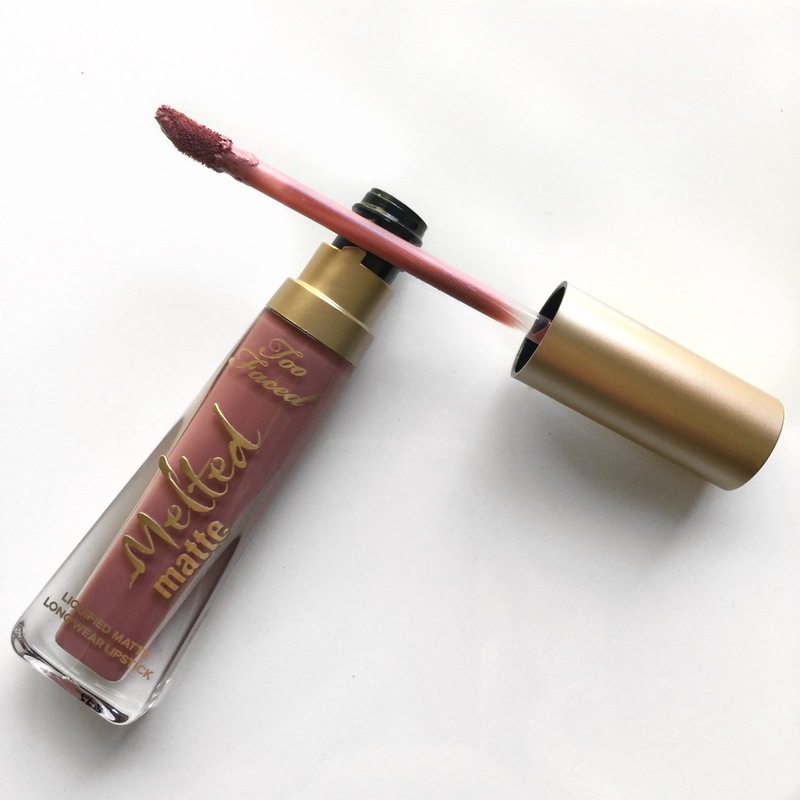 The Melted Matte formula does show every line and dryness on your lips so a lip scrub beforehand would also help. I’ve wore it for around 6-7 hours now and I have had lunch so there is slight fading in the middle of my lips and it did crumble a little bit right in the centre after I ate. So I would suggest keeping this product with you for small touch ups throughout the day. 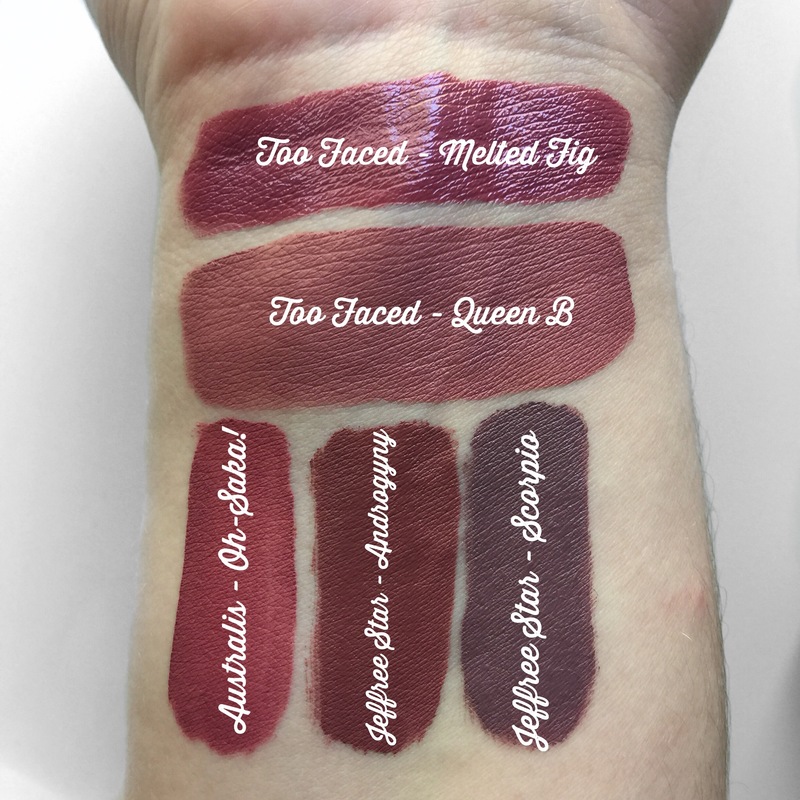 I don’t have a liquid lipstick in my collection similar to this one so here’s a comparison swatch of a new purple, mauve shades I have so you can get a good idea of what it looks like. Overall, I highly recommend trying these out. Start with one shade and see how the formula works for you. This is the only shade available in Mecca that appeals to me at the moment but when more is released I’ll definitely pick up more.